Managing VPS can be a difficult task, if you are a new or lack some knowledge, for this reason it’s popular to use a GUI-based server control panel. Hostens can offer a few control panels, including Plesk Panel and cPanel/WHM. 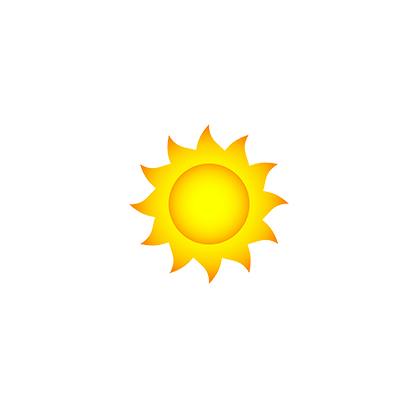 Both control panels are paid and has a monthly fee of 9.99 USD/month. The two server control panels are one of the most popular on the market, both have huge communities of users and there are many tutorial online, which can be helpful enough for anyone. Here is how you can order the Plesk or cPanel licenses on Hostens. cPanel/WHM is supported on all of our VPS servers: Standard VPS, Storage VPS, KVM VPS. Plesk is only supported on our KVM VPS. 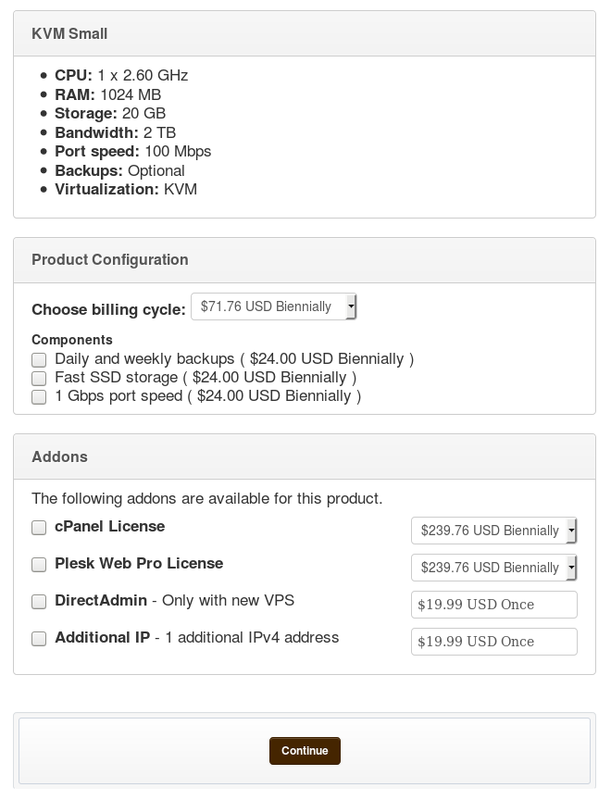 When you making a new order for VPS, you can select and order a Plesk or cPanel/WHM license together. Choose your server package and press “ORDER PLAN“. Simply check the license you want and press “Continue“, then finish the order and the checkout. The server is deployed within 10-15 minutes after your payment is received. If you ordered a cPanel/WHM license, your IP will become licensed after payment is received, then you can simply install the cPanel/WHM template to your VPS and start using the server (OS installation instruction is here). You will have to enter this license key during the Plesk set up. You will be able to use our prepared OS template that includes Plesk (Plesk template instruction is here). 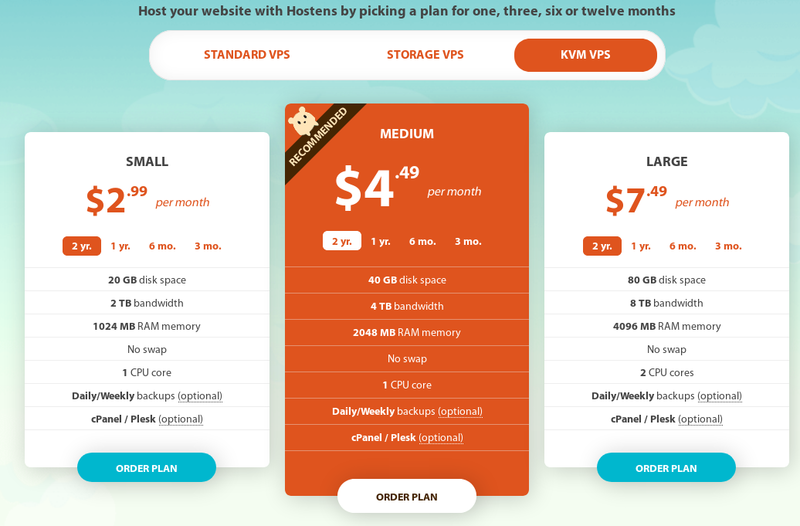 If you already have the active VPS, you still can order a control panel license and add it to your VPS. Simply login to the ClientArea account and choose the right VPS, you need license for, on the left menu you will see an option to add cPanel/WHM or Plesk Panel license. When you choose the license, new invoice will be generated. After the payment the license will be issued within a few minutes. If you ordered a cPanel/WHM license, your IP will become licensed and you can either reinstall your VPS with cPanel template from our list, or install the cPanel license manually on your existing VPS. If you ordered Plesk Panel license, your license will appear on the VPS dashboard (just a little below the IP information as in picture above this section). You can then reinstall the VPS with our prepared OS template or install the Plesk Panel manually.